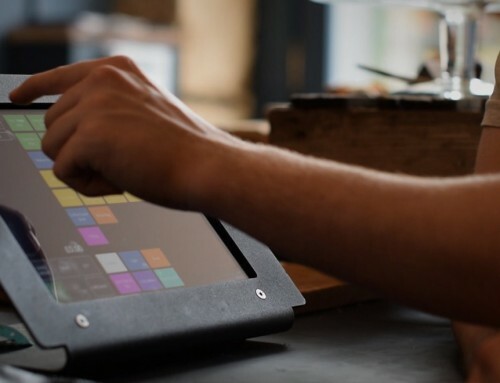 iZettle or Shopify: what's the best POS & ecommerce combo? 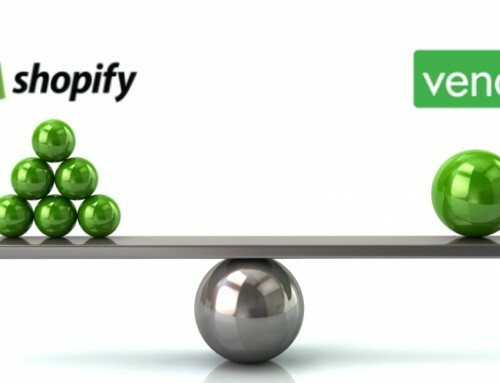 ⌂ > UK > POS Systems > Comparisons > iZettle vs. Shopify: what’s the best POS and ecommerce combo? 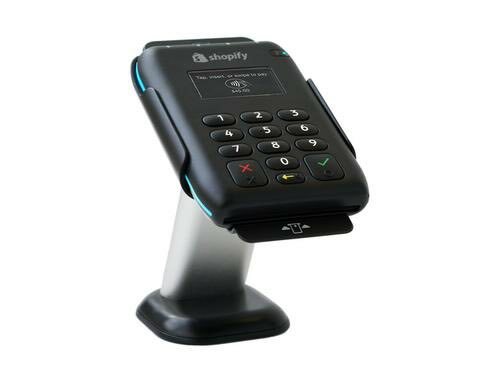 iZettle is the UK’s leading card reader point of sale (POS) company with webshop templates as an add-on; Shopify is the leading ecommerce platform with POS features and card reader as add-ons. Which is the best POS-ecommerce combination for a small business? iZettle doesn’t have contractual commitments, while Shopify claims all “plans are month to month unless you sign up for an annual or biennial plan”. Cost-wise, iZettle is much more straightforward than Shopify. If you’re just using it for point-of-sale, you only pay £59 (on offer for £19) for the iZettle Reader upfront, then a fixed-percentage card fee. The POS features are free – just download the iZettle Go app and use it without charges. Subscribing to iZettle Go Plus with E-commerce costs £29 + VAT a month. Transaction fees are the same, and you don’t pay anything else on top of the subscription price. This gives you full access to iZettle E-commerce features and hosting. If you haven’t got a web domain yet, you do need to pay for this too, as with any other website platform. Shopify is more complicated. They have three core plans: Basic Shopify for $29 a month, Shopify for $79 a month and Advanced Shopify for $299 a month. Prices are listed in US dollars because that’s what Shopfy charges in, and they may all exclude VAT. The more expensive the plan, the less you pay in card fees. If using a card machine from an external provider, you pay an additional card fee to make up for not using Shopify’s own payment system. Shopify’s transaction fees are lower than iZettle’s fixed percentage. The pricier Shopify plans can be worth the extra subscription cost if the lower fees, online and in-store features are worth it altogether. However, multi-store businesses may qualify for lower card fees with iZettle too, as they offer fee reductions for those making over £10k a month. This could ultimately bring the card fee down on par with Shopify’s. 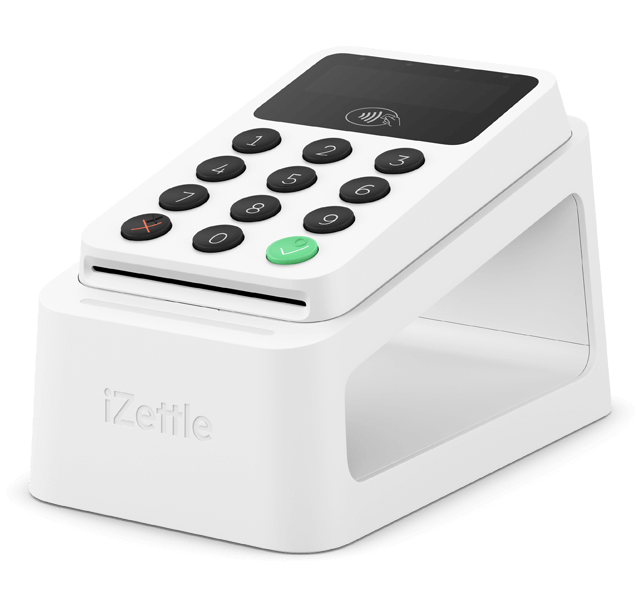 iZettle Pro – the company’s hospitality-focused EPOS software – has a lower transaction fee of 1.25% per card payment. This is the fee level higher-volume businesses can aim for, possibly lower than this if your business is very high-volume. This subscription costs £39 + VAT a month, features of which are specific to the food and hospitality industry. Payouts to your bank account happen automatically, taking 3 working days with Shopify Payments and only 1-2 working days with iZettle. Shopify’s Tap, Chip & Swipe Reader is a compact, black terminal with a PIN pad. It is an older Miura model also used by PayPal Here, Worldpay and Barclaycard Anywhere and by iZettle several years ago. It accepts contactless, swipe and chip and PIN payments, and after paying for it upfront, it’s yours to keep. It works in conjunction with the Shopify POS app on any compatible phone or tablet with WiFi or 3G. Shopify Reader can be attached to a table mount. With Shopify, you can use other card machines instead of their own, but an additional card fee is added to those payments. The iZettle Reader 2 is a well-designed card reader that works anywhere with 3G or WiFi together with the iZettle app. It is also paid for upfront and by default comes with one year’s warranty. On the Go Plus subscription, you get a lifetime warranty on the terminal (for as long as you’re a subscriber). iZettle Reader can be connected with receipt printers, cash drawer and barcode scanner, whether you’re paying or not. The Go app has an inbuilt barcode-scanning function, so you may not even need to purchase one of those separately. Basic Shopify, on the other hand, only allows hardware integration with the card reader. 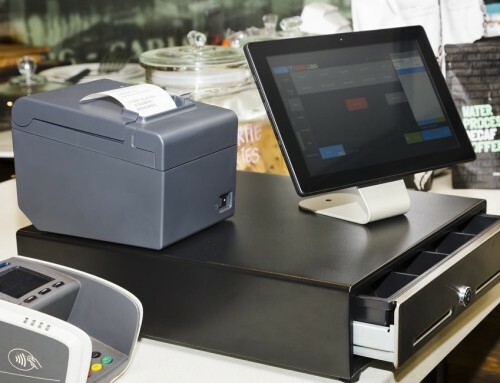 You have to upgrade to the Shopify (regular) plan costing $79 a month to be able to connect with a cash drawer, receipt printers, label printer and barcode scanner. iZettle Reader 2 on Dock 2, which keeps the reader charged up. iZettle Go app without subscription and Go Plus with E-commerce include the same POS features – you are really just paying for the E-commerce platform while the POS app is free on its own. Shopify requires a subscription for any POS features, and the cheaper the plan, the less you can do at the till point. That being said, the Basic Shopify plan actually has a few neat extras that iZettle doesn’t, and vice versa with iZettle. Let’s look at what’s included in the Basic Shopify plan, priced similarly to iZettle Go Plus. Shopify Basic has multiple-location management for up to four locations and two admin accounts. iZettle only allows one admin and products cannot be organised into locations. On the mid-level Shopify plan, you can run up to five locations, and on Advanced, up to eight. Both can keep customer profiles, analyse sales and products, create product libraries with many details and track inventory. You have unlimited staff PINs (for easy switching between users in the app), discounts and analytics with iZettle, an only two on Basic Shopify. On the pricier Shopify plan, you get unlimited staff PINs, access to gift cards, store credit options, register shifts and “professional reports” that are a step up from the Basic reports. Advanced Shopify gives you custom reports. iZettle relies on their own features, i.e. it cannot be connected with other EPOS systems. Shopify, on the other hand, can be integrated with other systems like Vend for more advanced POS features. Just note you have to pay separately for any system used in conjunction with Shopify, costs of which can rack up. For more advanced accounting and reporting features, both can integrate with Xero. Additionally, Shopify integrates with QuickBooks and iZettle with Debitoor. Without doubt, Shopify has more webshop options, but iZettle’s own E-commerce platform is worthy of praise too. They both synchronise with the POS product library, and you can select the products synced between the physical and online store. iZettle E-commerce is a very user-friendly website builder with additional features like payment links, blog pages and shipping management. Right from the start, you are guided in next steps so that ultimately, you can create an online shop from scratch or integrate the e-shop with an existing website. iZettle works with other website builders like Wix, WordPress or Squarespace, so you are never confined to use it for 100% of your website. Hosting is included – all you need is a domain (e.g. www.name.com), which you will also be guided to purchase if you don’t have one already. Shopify offers similar features to iZettle, but with more features, themes and integration options. It is user-friendly so those without web design skills can start from the ground up to build an online store. Regardless of which Shopify plan you choose, you should get the same amount of features, so online-first businesses may find the Basic Shopify package enough. Related: iZettle E-commerce: is it the right choice for your business? Both companies offer customer support, but teams and availability differ. With Shopify, you have Canada-based 24/7 customer support by email, live chat and phone. They have comprehensive online sections with content and tutorials on using the service, ecommerce, marketing and running an online and face-to-face business. To be fair, though, this is free content that even iZettle users can benefit from, so not a reason to choose Shopify. iZettle is more limited with the online help sections, which only refer to using the features, services and answering any questions users may have. They also have email and phone support, but this is limited to working hours (9am-5pm) on weekdays without a subscription, and 8am-8pm on weekdays and 9am-6pm on weekends with the paid subscription. Their support team is based in the UK and knows the British market really well. 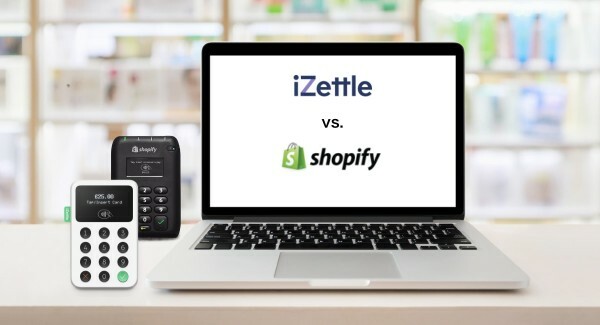 The choice between iZettle and Shopify is potentially easy if you look at what you get for the money in the POS and online departments. iZettle is primarily used for point-of-sale businesses, with a neat E-commerce platform to cater for those venturing into online sales for the first time. With Shopify, it’s the other way around: the ambitious selection of ecommerce features and breadth of integrations to suit any kind and size of business makes this the best option for online sales, but the POS features are limited on the cheaper plans.